WIR-22-HRVducting — ReNü Engineering Inc.
Made great headway on the ventilation system over 3 days, was surprised how quickly it went. Need a few extra custom joints made, but it's 80% done. Decided to go with foil tape instead of mastic, due to my inexperience with mastic, and not knowing how quickly I'd be able to work (would the mastic bucket dry out..). The tape works well, especially for sealing seams that are against a wall / ceiling.. I can't imagine a paint brush getting back there.. so I'm guessing most installers just end up painting mastic on the visible parts. The tape also holds well, even with light gauge tin the joints were really solid after 4 screws per & tape on all seams. I think mastic would go on more quickly though, but I didn't have a tape dispenser. 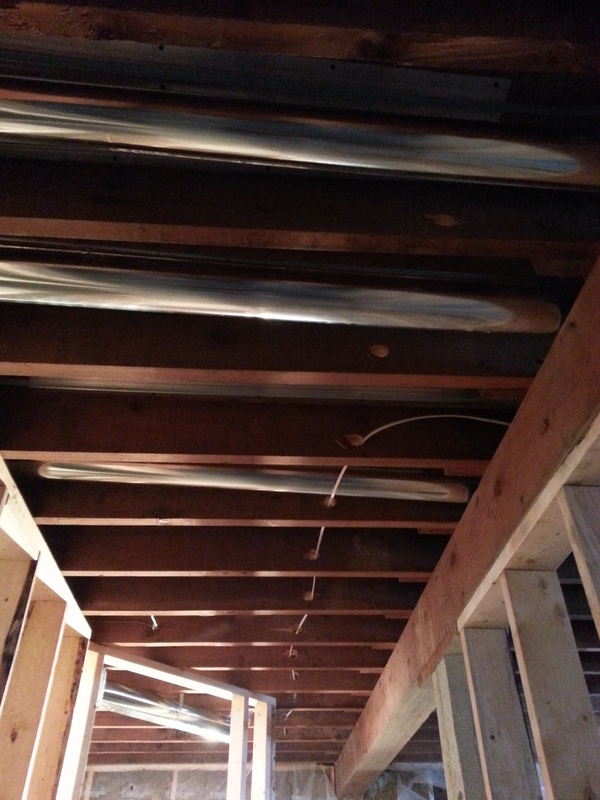 You can see the kitchen exhaust coming up through the basement ceiling.. tight fit around the hydronic tubing. It'll come out under the cabinets, which we've bought from IKEA, and will transfer into an 8" x 3" rectangular. 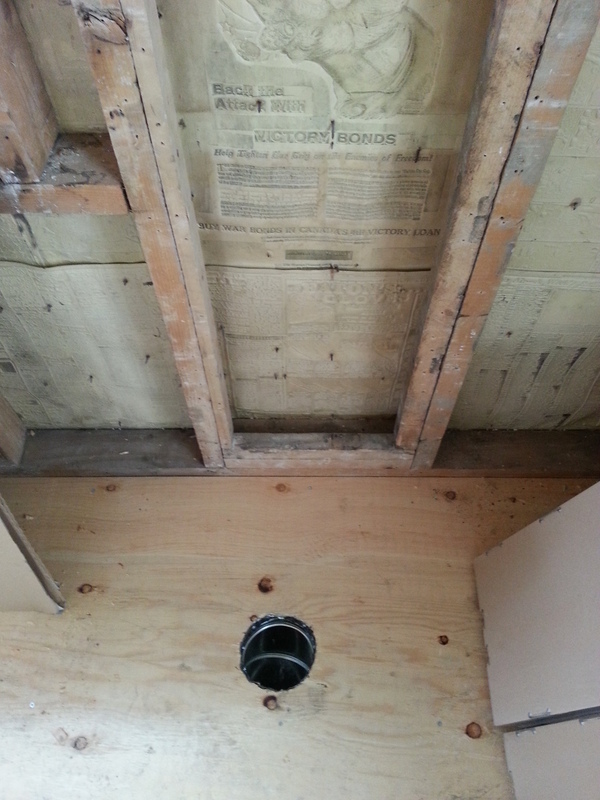 It's going to take a number of custom pieces to get that into the wall cavity, and back out in the main floor ceiling plane. 2x6 walls would make it easier! 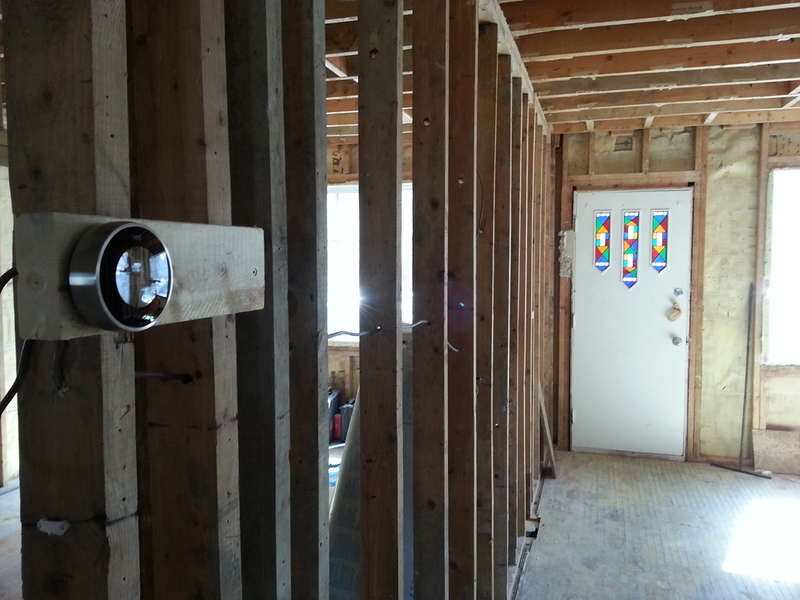 Managed to use the old heating duct hole in the bathroom wall. 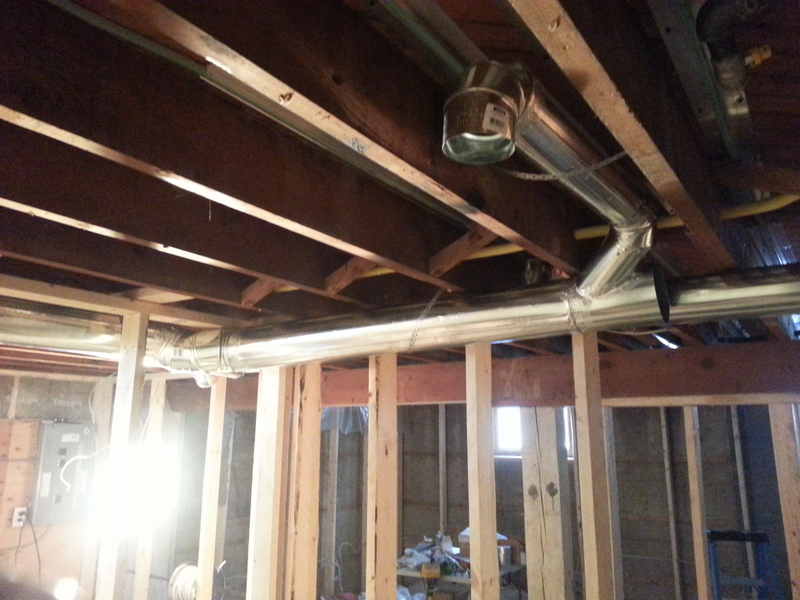 The other 2 main floor vertical sections will require some 8"x3" custom ducting to fit in the 2x4 walls.